Home Sewing Embroidery Machines What is Embroidery? Embroidery is the creation of art with nothing more than some fabric, thread, and needles. In fact, embroidery from old expanses of fabrics has often told explorers and archeologists historical tales about places and people in ancient times. Contrary to tapestries, the pattern is not woven directly into the fabric: embroidery is basically ornamental sewing whereby you can decorate the fabric using a needle and a thread. There are various types of stitches associated with embroidery, namely surface work and counted thread work. The type of stitch that you will use basically depends on the type of fabric that you’re going to use. 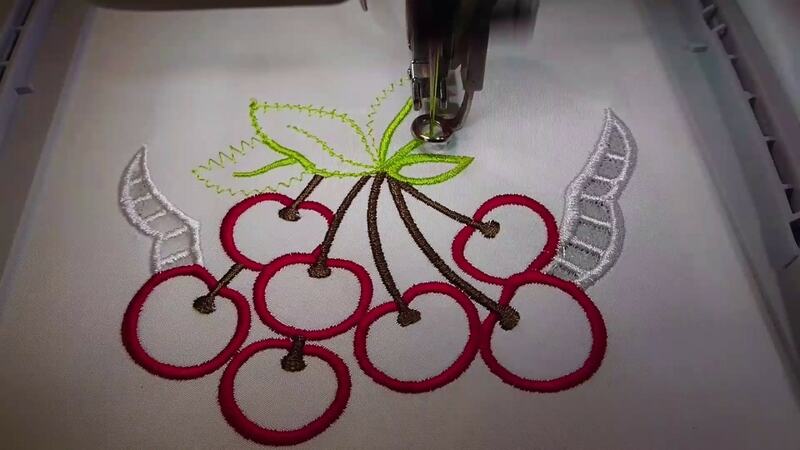 Nowadays, sewers also have two choices when it comes to their embroidery method: hand or machine sewing. According to experienced sewers, embroidering by hand can be far more relaxing than working with a machine. On the flip side, however, hand embroidery can be extremely tedious and time-consuming. Indeed, you may find that your project requires weeks- if not months- to complete. This can understandably be quite discouraging to new sewers who may not have the drive, patience or motivation to see their projects until the end. Hand embroidery also requires a plethora of additional tools: indeed, a lack of proper equipment or the use of low-quality materials can easily result in frustration and unappealing designs. Most sewers find that they require sewing scissors, embroidery frames, floor stands and lap frames to engage in hand embroidery. Hand embroidery can also be an issue if you’re working with larger-than-average fabrics for curtains, bedsheets and the likes. 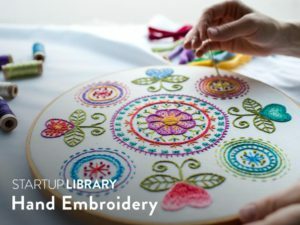 While this activity is admittedly tedious, hand embroidery can deliver more precise stitches and provide you with far more freedom than machine embroidery. It also brings a more personal feel to your finished project as a whole. While embroidery machines were initially used by professionals only, more and more amateur hobbyists are turning towards these machines to indulge in their craft. Indeed, contrary to early models, embroidery machines are now available for all budgets, so you will be able to afford one without having to break the bank. Users normally have a choice between several types of machine embroidery: these include sewing machine or free-motion embroidery. Embroidery machines can also be computer-controlled, an example is the popular Brother PE770, and are usually geared at more experienced users. While embroidery machines normally have one needle only, some industrial models also come with several needles to help you finish your project as quickly as possible.